Squirrels can be cute and their antics fun to observe, but they can also be destructive if they get inside a home and begin chewing. For some animal lovers, live trapping and releasing is a viable rodent control option. The current two-year tally at Nancy Donovan’s home is, Donovans: 95, Squirrels: 0. 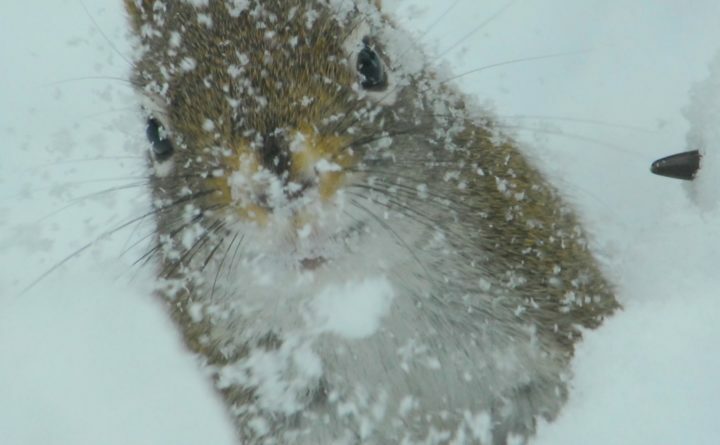 Nancy Donovan and her husband, Daniel, have been actively trapping and releasing the gray squirrels around their Presque Isle home since 2016 in an effort to keep the fluffy-tailed rodents from cleaning out their bird feeders. Turned out, an impressive amount. They caught 55 in 2016 and another 40 last year, all subsequently released a mile or two from their house. The Donovans bear no ill will toward the rodents, but don’t want them getting into the bird feeders or chewing anything around the house. So they decided the trap and release was the best option for the squirrels. A better plan, according to Demuz, could include sealing up any holes or hideaway places under porches, in old sheds or other spots animals find attractive and habitable. A nuisance animal may well make its way back once released, she said. Does that mean the Donovans have been trapping and releasing the same squirrels multiple times? Nancy Donovan does not believe so. It is important to remember, Demuz said, that no matter how cute they may be, squirrels and other small mammals are wildlife and must be treated with respect and caution. Demuz recommends using a solid-sided live trap or, in the case of cage traps, cover them with a tarp or blanket once it has sprung and the animal is trapped. Having that barrier between trapper and trapped skunk can block most of the animal’s spray, Demuz said. Moving slowly and covering the trap with a tarp or blanket will also help keep whatever is inside calm and reduce the chance of the animal injuring itself. Rather, Demuz suggests using a rod or stick that allows a person to stand away from the trap and open it from a distance. The stick can also be left in place to prop the trap’s door open, allowing the critter inside to wander out on its own. Being prepared is important, Demuz said. “I’ve caught skunks before by accident when trying to catch a stray cat,” she said. The Donovans, too, have added a skunk and raccoon to their count when the larger animals got caught in the squirrel traps.